Why be ordinary, when you can be extraordinary?! Edgy and eclectic pieces add humour, wit and most importantly personality to the home and so it will serve you well to treasure hunt for pieces that reflect your unique style in your home. 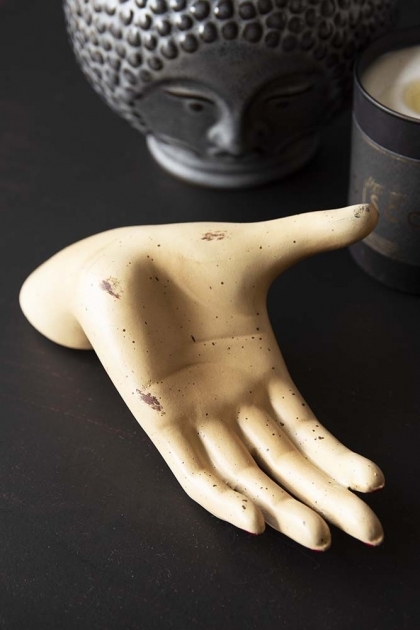 Utterly unique the Antiqued Open Hand Jewellery Holder is perfect for adding eclectic charm to your home. A jewellery holder or quirky ornament, use the Antiqued Open Hand Jewellery Holder to keep your necklaces, bracelets, earrings and other essential items such as your house keys or loose change. 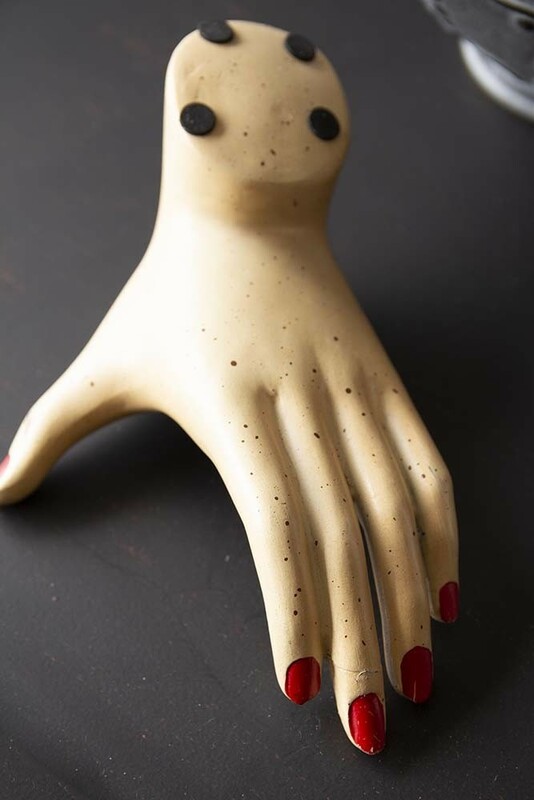 Alternatively, you could display the Antiqued Open Hand Jewellery Holder on your console tables, open shelving, coffee and side tables for a dark and humorous twist (particularly brilliant for Halloween).